The United States Postal Service is set to release a Forever Stamp honoring writer Maya Angelou, the agency announced on Monday. Angelou, best known for her memoir I Know Why the Caged Bird Sings, died last year at age 86. 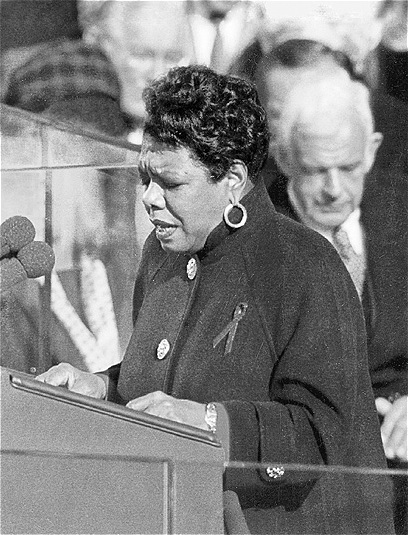 Angelou was honored by universities, literary organizations, government agencies, and special interest groups. She was asked to serve on two presidential committees, and was awarded the National Medal of Arts in 2000, the Lincoln Medal in 2008, and the Presidential Medal of Freedom in 2011. Maya was also awarded over fifty honorary degrees. This entry was posted on Tuesday, February 24th, 2015 at 12:12 am	and is filed under Blog by Manny Pacheco. You can follow any comments to this post through the RSS 2.0 feed. Responses are currently closed, but you can trackback from your own site.